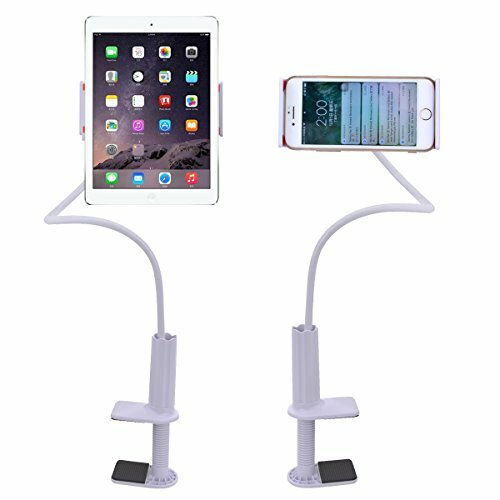 Flexible aluminium magnesium alloy with PVC, 360 degrees rotating, you can position your cellphone or tablets in multiple angles in landscape or portarait view. When you want to bend the tube, please hold the tube with two hands.Do not use one hand to bend the tube with the other hand hold the base. Great device for you and kids.